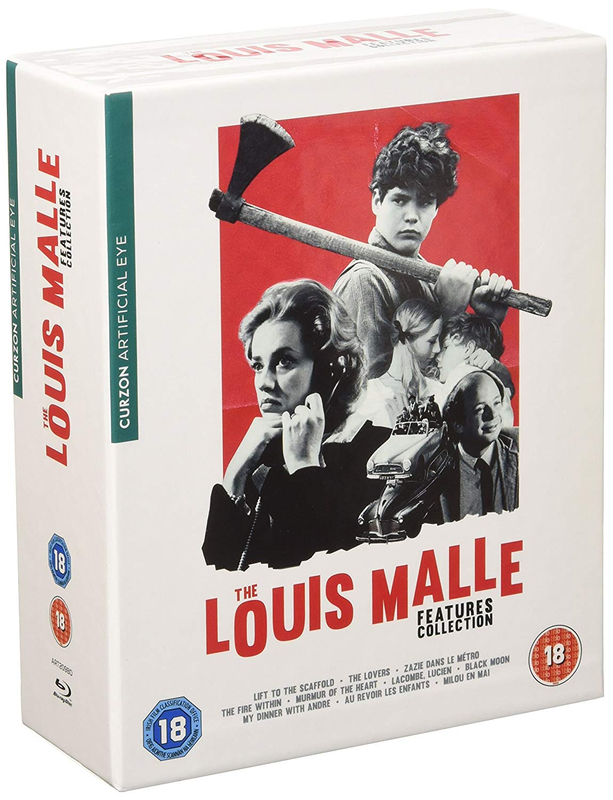 Collection of ten films directed by French filmmaker Louis Malle. In the black comedy Lift to the Scaffold (1958), a crime of passion goes horribly wrong when the killer gets trapped in a lift. As Julien (Maurice Ronet)'s lover, Florence Carala (Jeanne Moreau) - who also happens to be the victim's wife - is out searching for him in Paris, a young hood and his girl steal the killer's car, complicating matters further. Features a jazz score by Miles Davis. In The Lovers (1958), Moreau stars as a woman desperate to free herself from a dull and unhappy marriage. So she heads for the excitement of Paris with her friends where one day a chance encounter gives her the excitement she has been craving. Zazie dans le Métro (1960) follows the story of Zazie (Catherine Demongeot), a ten-year-old kid who desperately wants to ride on the Paris Métro during her holidays. But when she finds out there is a 24 hour strike, she runs riot through the city. In Le Feu Follet (1963), a recovering alcoholic (Ronet) decides to commit suicide. He spends 24 hours wandering through Paris and visiting old friends one last time, hoping to find some meaning to life and a reason to go on living. In Murmur of the Heart (1971), Laurent Chevalier (Benoît Ferreux) is a precocious 15-year-old living in the 1950s, who, growing up in a boisterous loving family, travels with his mother (Lea Massari) to a fashionable spa town to recuperate from a heart murmur. But once there, motherly love transforms into sexual longing. In Lacome, Lucien (1974), young French peasant Lucien Lacombe (Pierre Blaise) sees a chance for social advancement by joining the Gestapo during the Occupation. However, his position is placed under threat when he starts dating the daughter of a Jewish tailor - a liaison that could have disastrous repercussions for them both. In Black Moon (1975) teenager Lily (Cathryn Harrison) finds herself in a world where there is an ongoing war between males and females and flees to the countryside to escape. There, she has a series of surreal encounters with the characters occupying the country estate. My Dinner With Andre (1981) takes the form of a dinner conversation between theatre director Andre Gregory and actor-playwright Wallace Shawn, two friends who are catching up with each other after six years without contact. In Au Revoir Les Enfants (1987), set during the Nazi occupation of France, young teenager Jean (Raphael Fejito) returns to his Catholic boarding school after some time off and strikes up a friendship with new classmate Julien (Gaspard Manesse). After some initial hostilities and friction between the pair, Julien learns that Jean is in fact Jewish, and one of three boys being offered a safe haven by the sympathetic headmaster. However, when Gestapo officers arrive at the school, they begin to delve deeper into the lives of the students and the priests watching over them. Milou in May (1990) depicts the collapse of one family and their country, during February 1968, when the family meet at the funeral of Milou (Michel Piccoli)'s mother. 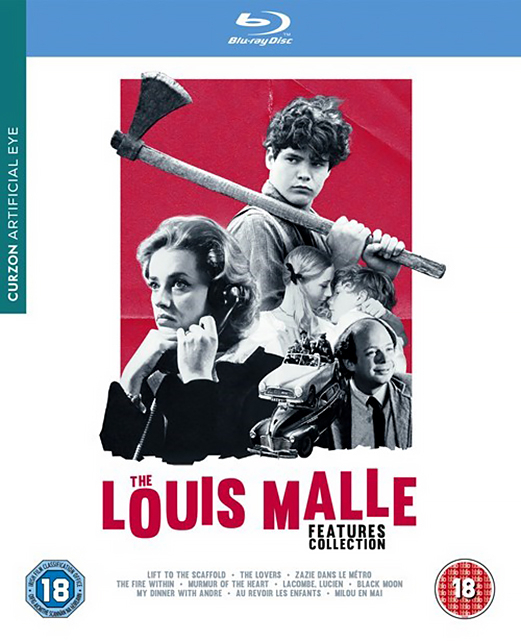 The provincial country house becomes the site of a family in conflict as disputes rage both across France and at home until the family are forced to flee to the hills in search of shelter. Includes a 100 page booklet.